At Facebook’s Places event earlier tonight, they noted that their iPhone app would be updated tonight with the new check-in functionality. Sure enough, here it is. Though the App Store update alert hasn’t kicked in yet, if you go to the actual page and redownload it, it should be the latest version (version 3.2). 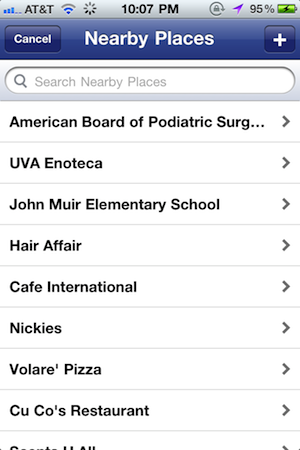 As you can see, the new Places area is front and center in the app. 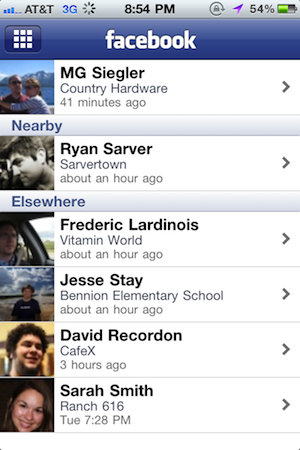 Clicking on it brings up a list of your friends who have recently checked in to various places. 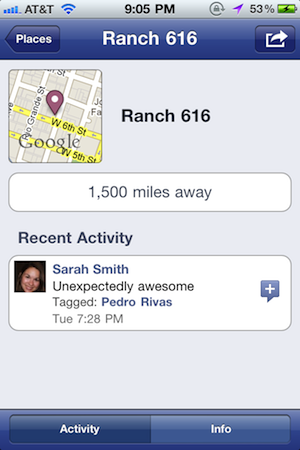 Clicking on those friends shows more details about the place they are at. 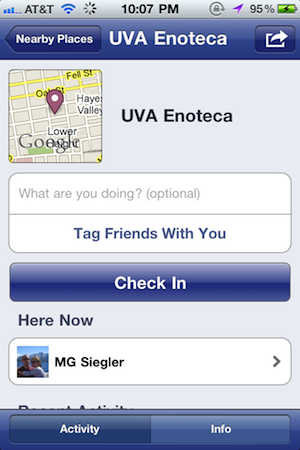 Friend check-ins are sorted by those friends who are nearby and those who are elsewhere. Your stream will now show these Places check-ins as well. Still, on the touch.facebook.com version of the site the functionality is working and seems much more obvious. 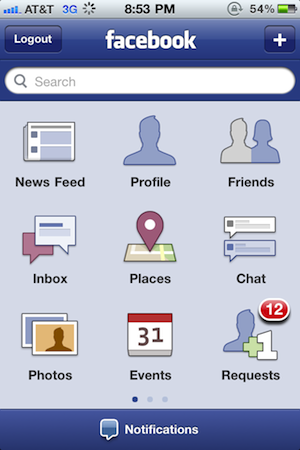 You’ll also notice that Facebook has changed the Inbox icon on their new app. And to make room for Places, the Notes element of the app has been moved on to the second page. Again, you can find the latest version of the app here — sadly, it’s only available for U.S. users for the time being. Update: A number of people in the U.S. are also reporting seeing messages that Places isn’t available in their area yet. It appears that Facebook is slowly rolling this out. Stay tuned. Update 2: I’ve just spoken with Facebook and they informed me that even though the app is live, the Places functionality isn’t rolled out to everyone just yet. That’s why some people see the message that it’s not available in their area — and why others can’t yet check-in. Facebook wants to make sure their servers can handle the load that is inevitably coming so it will be a roll out over the next day or two I’m told. Update 3: And now version 3.2.1 is out with bug fixes. Check it out. This one should work as intended.